“WiFi won’t work” or WiFi won’t connect” is one of the most common problem in Android and iPhone that people face everyday. WiFi will keep giving different kind of errors on the screen and sometimes it simply won’t connect. No matter what you try at that point of time, you won’t be able to connect to the WiFi network. Errors such as IP address conflict, network not in range, authentication problem, out of range, no internet access tend to occur while connecting to a desired WiFi network. Most of the WiFi won’t connect problems can be solved by following certain easy steps mentioned below. However there are errors which can be solved only by advanced methods. It’s really annoying to see that phone won’t connect to WiFi network when we need it immediately. It will keep connecting and disconnecting, automatically turn on/off problem, automatic WiFi connection won’t work, stuck on obtaining IP address errors can be seen. In many Android phones and iPhone, it will simply freeze the screen while connecting but won’t connect. Follow the below mentioned simple steps to resolve WiFi won’t connect in Android and iPhone. Whether you believe it or not but it works most of the time. 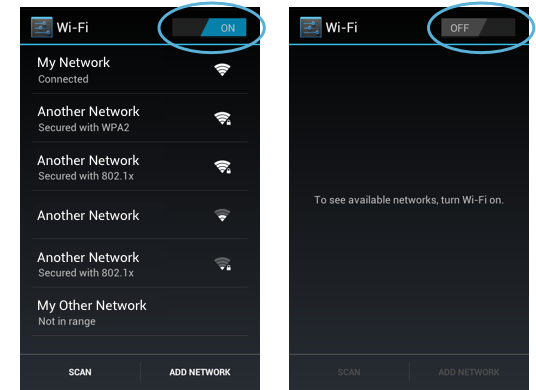 You can toggle WiFi button on your Android or iPhone to get connected to the network without any problem. 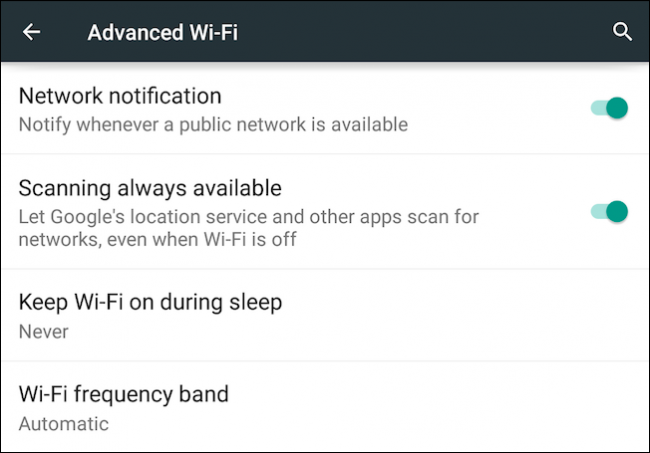 You can toggle WiFi button from SETTINGS or NOTIFICATIONS area of your android or iPhone. Tap the WiFi button to turn it off. Wait for few seconds and then again tap to turn it ON again. Now try connecting to your network and most of the times it gets connected after doing this. If your network is set to get automatically connected then you will get connected immediately. It works for many people. Airplane mode is highly effective in solving network problems. Problems which are related to cellphone signal, WiFi problem and Bluetooth problem can easily be solved by Airplane mode toggle in most cases. You can turn off Airplane mode from SETTINGS or NOTIFICATIONS area of your Android or iPhone. The cellphone signal will be gone and all network connections will disconnect. Wait for few seconds and turn it back ON. It will refresh every thing. Now try to connect to your desired WiFi network from settings. Hopefully you will get connected easily without any problem. The WiFi won’t connect problem can also be happening from the other end rather than our phone. 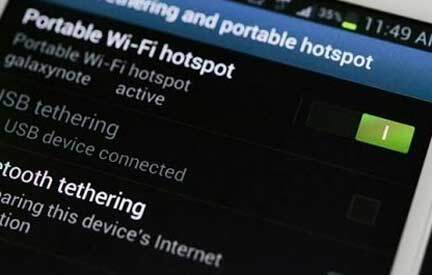 Your wireless network or hotspot that you are trying to connect may be creating problem and that’s why your Android or iPhone is unable to connect to it. The simple solution to this problem is to restart the Wireless network or Hotspot. If you have a router then turn it off for few seconds and then turn it back ON. In case of HOTSPOT, switch it off from settings on the other device then wait for few seconds and turn it ON. Now try to connect to the desired network from your Android or iPhone. Saved networks will be automatically connected in order of preference. If above 3 simple solutions didn’t help you out and you are getting some other error while connecting then keep reading the below methods to resolve WiFi won’t work. The network password is the one of the most common problem for people. They think that they have the right password and they keep entering it while connecting to the network but it doesn’t work. It simply means the password is wrong. How can you connect to a WiFi network with a wrong password. Your Android or iPhone will give you “Authentication Error” while connecting. There are 2 possible things here. You are entering the right password to a similar network but not the right network. Second you are entering the wrong password. Please triple check password and the correct network name while connecting. Make sure Capslock is OFF. Switch it On when required while entering password. You will never get Authentication problem with the right password. Go to “Settings” of your phone. You will see the WiFi network that you are trying to connect. 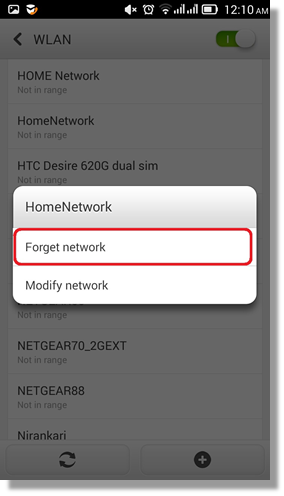 Long Press on the desired network on android phone to get Forget Network Settings. Tap on Circle with inverted exclamation mark in front of network on iPhone. Tap on Forget Network option. It will delete that particular network previous settings. Go to WiFi and you will find that WiFi network. Now connect to the network again with the right password. Forget network is highly useful in many cases. Many Samsung Galaxy devices WiFi won’t connect problems have been solved by this option. Follow the method and WiFi will start working again. Do you live in a metro city? Do you see many WiFi connections in the list? There are instances where you see many similar network names. If you exactly don’t know the name and you put the password in one of the similar networks then WiFi won’t connect. You must connect to the right network with the correct password. Wrong Network and right password will never work. Double check network name when you see multiple similar WiFi networks in the list. Restarting your Android or iPhone solves many problems on the phone. If you are unable to solve WiFi not connecting then you must restart your phone to check whether problem resolved or not. Restart will also fix phone hanging problems, low memory issues, app hang problem and many other things. Restart and try to connect to your desired WiFi network. If it still doesn’t connect then proceed to our next method. Many people have reported that sometimes cellular network creates a problem while connecting to a WiFi network. So they found a different solution to this problem. You need to Turn ON the Airplane mode. It will also disable WiFi, Bluetooth and cellular network. Now Go to settings of your Android or iPhone and TURN ON the WiFi. Now connect to your desired network. Once it connects successfully then TURN OFF the Airplane mode from settings or notifications area. It has solved WiFi not connecting problem for many people. Give it a try. Dial *#0011# from the dialer. It will open up the service mode. Click on Menu key and select Wi-Fi. Switch off the power saving mode if it’s turn ON. Power saving mode can also be found in Settings in many Samsung phones. Whenever we connect to a wireless network then it assigns an IP address to our device automatically. However this automatic IP address creates problem for many people. Different kind of errors will appear such as “IP address conflict” and “IP address unavailable”. There is a chance that you will get connected successfully but it won’t let you access the internet due to unknown reasons. In order to solve such problems you need to assign a static IP address to your device and then connect to the network. Go to “Settings” of your iPhone or iPad. Tap on little blue arrow in front of your desired network. Tap on “Static” option in the window. Fill out all fields such as “IP address, subnet mask, router etc…” according to your networks configuration. You will get connected to Wi-Fi network after this. Go to “Settings” of your Android phone or Android tablet. Tap on “WiFi” option. Now you will see all the connections. Long Press your desired network. It will open another settings. “Modify Network Config” and “Forget Network” are 2 options that will appear. Tap on “Modify Network Config”. Now you will get more options. Check in front of “Advanced Settings” and you will get more options. Under IP Settings, Select “Static” instead of DHCP. Now fill in the required settings that appear below. Now try to connect and you will easily get connected to the network. We already know that newer applications can cause a lot of problem in our phone. Specially the beta versions of newer apps that are released on play store. 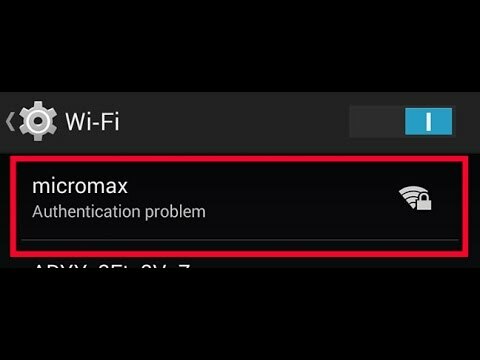 If you have installed any such application then there is a chance that Wifi won’t turn on problem is being caused by this beta app settings. Uninstall such applications and see if WiFi started working again or not. If it’s working perfectly then you should uninstall the application completely and wait for an updated and stable release for your Android phone. Many people have reported that their Bluetooth is causing a major problem in getting connected to the WiFi network. Switching the Bluetooth OFF helped them get connected to desired network without any problem. You can try out this little trick. It might help you. Do tell us in comments if it helped you out in getting connected successfully. If you have very low memory on your phone then it will surely create a problem in performance of many apps. They will not work perfectly or won’t work at all. We are talking about RAM memory. You must have enough RAM memory all the time in your Android and iPhone so that apps can work perfectly. Try to clear the RAM memory through RAM manager on your Android phone. There are many apps which also clear the RAM memory. Get one of those apps and if you have already installed any such application then clear the RAM memory. Now try to connect to your network and see if your WiFi is working perfectly or not. Many people have reported that clearing the RAM fixed the WiFi problem. There are some of basic WiFi troubleshooting tips to fix common errors. Let’s move on to some advanced methods in which you can make sure that your WiFi works perfectly without any problem. Restart the phone and head over to Wi-Fi settings. Try turning it ON. It will work perfectly. If wpa_supplicant.conf is not in the location mentioned above then you should try finding it in the WiFI folder. Use the search option if it’s there. Rename the file once you find it. You can also search for the file “Softab.conf” and rename it to softab.bak to see if your Wi-Fi started working again. The above method worked successfully in many Samsung Galaxy and Note phones. Give it a try. Samsung phones have a lot of problems and it’s one of these. “Always Allow Scanning” is one of the features given by Samsung inside “Smart Network Switch” function. However many people are not aware of this option and it creates a problem for them. It won’t let them get connected to network or it simply won’t let them turn on WiFi. Press and hold the Wi-Fi icon until you see Smart network switch window. Click the tab on left hand side of the home button. Now uncheck always allow scanning option. Now try to connect to Wi-Fi. It will start turning on perfectly. Do you have a Samsung Galaxy Phone? Do you have any other Samsung phone? There is chance that “Restore from Server” setting given by Samsung is causing the problem with the WiFi. You need to uncheck this option so that your WiFi start working perfectly again. Many people have reported that it fixed their WiFi won’t turn on, WiFi getting Stuck or Wifi Freeze problem. Perform a Factory data reset on your phone. (Don’t forget to save all-important data on your computer). Performing a factory data reset will erase everything on your Android phone and tablet. Start setting up the phone. When it asks for logging into Samsung and Google account then you will also get option for “Restore from server” option. Uncheck it in both of them. Complete other steps and check your Wi-Fi. It will start working again perfectly. You will be able to make connection to any wireless networks. Go to Settings >>> Accounts >> Turn on Backup and restore manually option. Hopefully your WiFi starts working again. We already know that factory data reset can fix a lot of things. In fact all the problems of the phone. Your phone becomes just like new one with fresh settings. Factory data reset can be easily performed on both Android and iOS devices. Save all the important photos, videos and documents on your laptop before performing a factory reset. Go to “Settings” app on your phone. Go to “System >> Reset”. You can also see “Backup and Reset”. Tap on “Factory Data Reset” option. Enter your PIN or Password. When the device completes factory data reset then start the phone and complete the configuration process. Take a backup of your phone before you reset. Scroll till you see “Reset” option. Tap on “Erase all contents and Settings“. Enter the passcode once asked. You can’t go ahead if you don’t know passcode. It will also ask for Apple ID and Password. Enter and let the iPhone/iPad do the factory reset. It can take few minutes for the process. Once completed and phone restarts then complete the configuration process. Chances are higher that your WiFi won’t turn on or any other error will be fixed by Factory data reset. If the problem lies at the other end of the network then one of the methods above will surely fix the problem. If none of the above methods worked for you then there is a chance of hardware issue on your phone. Few of the hardware problems can be fixed by simple methods without even opening the phone. However if the problem is more drastic then you should take it to service center of the phone. If your Android WiFi isn’t turning on then there is a chance of a loose cable inside the phone. If the cable is not connected properly then WiFi won’t work at all. Give a proper shake to your phone gently. Tap on the back of the Android phone. Many people have reported that above 2 tips have fixed their problem. You should now try to switch ON the WiFi. If it works properly then it’s a hardware issues and if it keeps happening then you should take it to service center for permanent repair. Hopefully methods mentioned above will fix your WiFi problem on Android and iPhone/iPad.